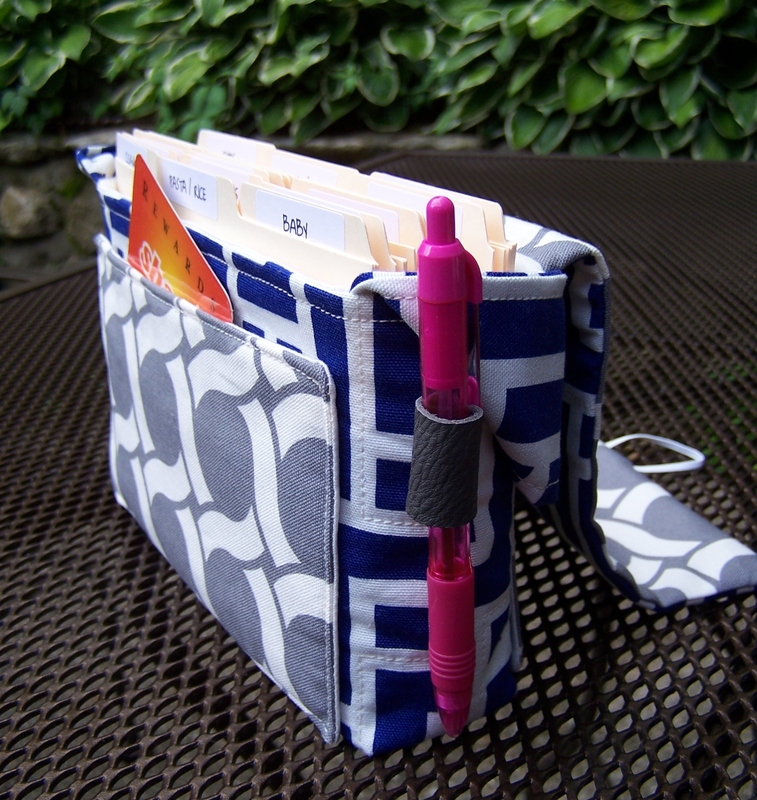 The Extreme Coupon Holder ~ Organizer sewing Pattern! 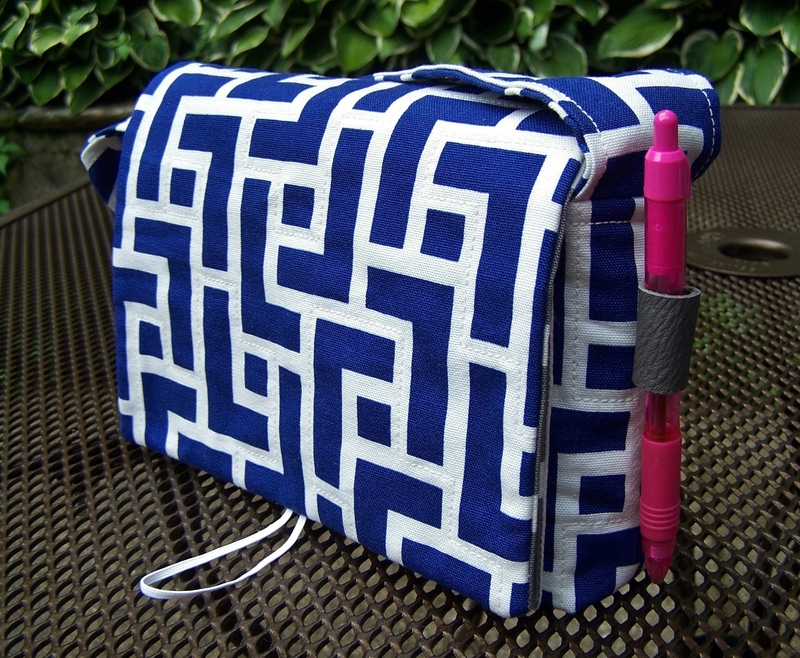 I still had some Cloud 9 fabric from the Geocentric Bag Challenge so I made this Coupon Holder! Want to make one? Here is the Coupon Bag Pattern. 2″ of space for coupons! 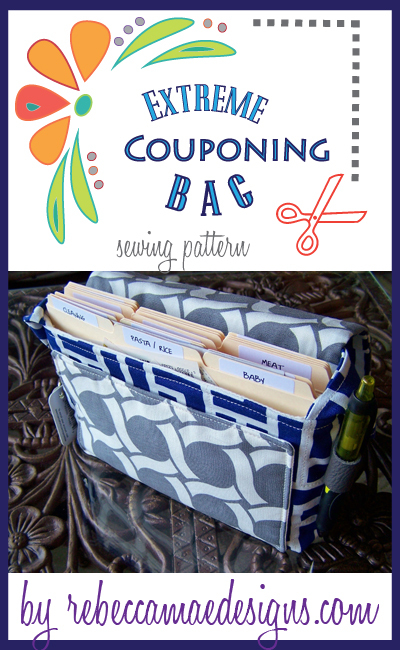 a front pocket for grocery list, store cards and TODAY’s coupons! 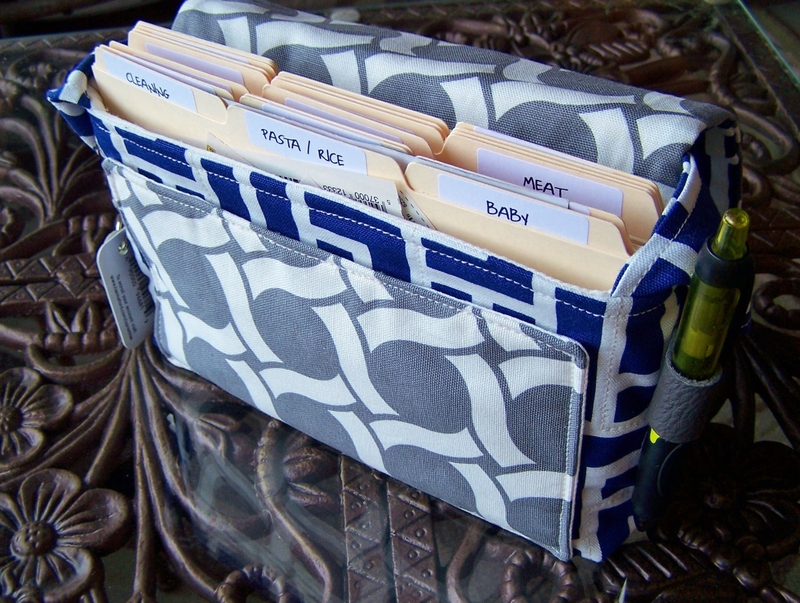 Organize your coupons with space for up to 25 dividers… and a handy pen holder to cross things off your shopping list! Use the front pocket for TODAYs Coupons, your phone and shopping list! 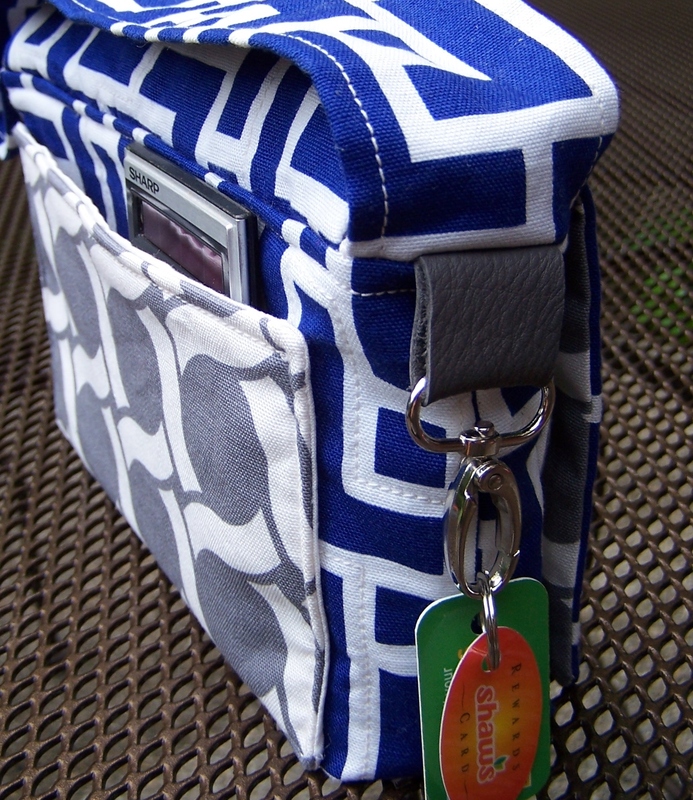 The other end of your coupon bag has a handy clasp for all those store cards… you’re ready for checkout! And a second pocket on the back is a great spot for a calculator! Yes I do occasionally sell some. 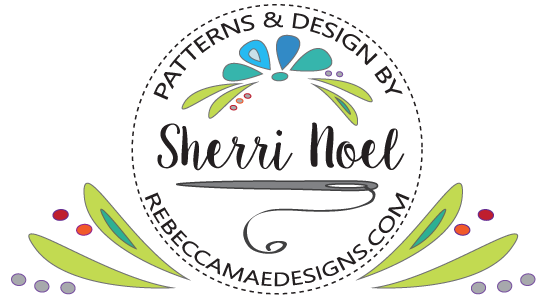 Like me on Facebook, I will post there (and here too) when I have some to sell. Is this pattern easy to make sizing adjustments? I love this bag but I am not sure that 2″ of coupon space would be enough. Any chance you have any available for sale? Sorry Ina, I only sell the pattern.